Edit: The video is back online, after disappearing for a couple weeks! If you missed it before, you can now watch it below! Interesting to note, however, is that Disney XD is not calling this episode a series finale. Despite Alex Hirsch’s announcement last month that this would be the end of the series, Disney itself is refraining from using such definitive language. Perhaps it’s still holding out hope that Alex will change his mind? Or it could be that it will start billing the episode as a series finale as we draw nearer to the air date. 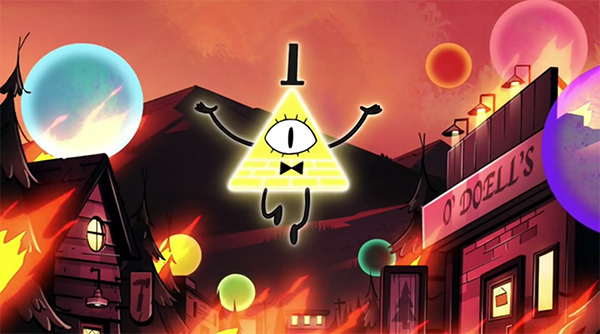 Either way, as far as any of us knows, this will be our last journey to Gravity Falls for the foreseeable future. 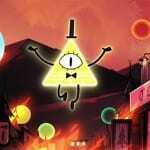 Gravity Falls‘ series finale, “Weirdmageddon 3” will air Monday, February 15 at 7 pm. What did you think of this spot? Are you exited for the finale?